Canberra Airport provides support to the community, be it individuals or organisations through the Snow Foundation. Another major initiative of the airport is a school education program called The AirKidets Flight’scool. This program focuses on educating local and regional primary school children on the aviation industry and the important role an airport plays in the community. 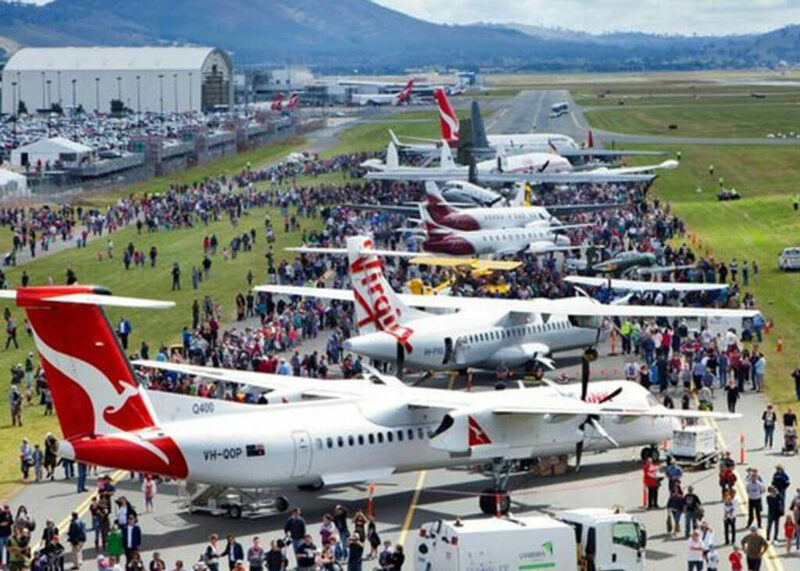 The Canberra Airport Open Day is held every two years, with our next event being held in 2018. The Open Day is filled with children’s activities and planes of all shapes and sizes from past, present and future. Look out for further information on our next event closer to the day. As the gateway to the Nation’s Capital, Canberra Airport works closely with local tourist institutions and businesses to support visitation. For example, Canberra Airport has been a sponsorship partner to The National Gallery of Australia since 2011, providing funding and promotional activity to support the major exhibitions that attract millions of people to Canberra. Canberra Airport recognises the importance of new and exciting local events. Now in its third successful year, Canberra’s premium fashion event, FASHFEST, was hosted and sponsored by Canberra Airport at Brindabella Business Park for its first two years. As The Forage and Hustle & Scout Twilight Markets grew in popularity and more space was needed, a hangar in Fairbairn became their new home, with hundreds of people enjoying the runway action whilst enjoying the fashion and food.